Chris brings over 22 years of experience in the insurance and financial services industry and a diverse background including sales & marketing, information technology, executive benefits design implementation, and advanced case design. Chris received his BA degree from Bryant University and has an AMLI designation from the Life Office Management Association (LOMA). Chris is currently attending The ICCC Institute pursuing a degree in Theology. Chris is the key relationship manager for The Koptis Organization and his responsibilities include: Sales, marketing, client relations, client service, product analysis recommendation, estate planning, development of executive benefit programs, policy audits, underwriting and lifetime settlements. Chris knows the strengths and weaknesses of each product, which allows him to design plans around a client’s long-term strategy, rather than around any one product. He has a thorough knowledge of life insurance, long term disability, long term care, annuities, worksite marketing and lifetime settlements. Chris’ diverse background and strong carrier relationships allow him to help clients implement strategic plans for estate, business and succession planning, employee benefits, executive compensation and wealth accumulation strategies. Chris resides with his wife, Vicki, in Eastlake, Ohio. His two children, Hannah & Noah, are currently students at Malone University in Canton, Ohio. 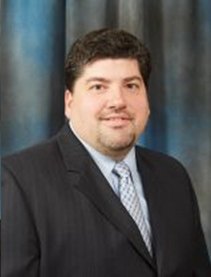 Chris currently sits on the Estate Planning & Advisory Council at Malone University.